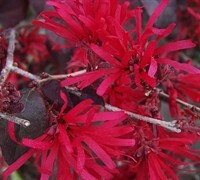 Ever Red Sunset Loropetalum is the first loropetalum we've seen that produces cherry red flowers, not pink or fuschia as are most other Lorpetalum flowers. 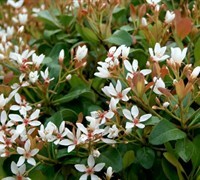 The flowers are produced in spring and lightly and sporadically during summer and fall, contrasting wonderfully with the deep chocolate-burgundy foliage. 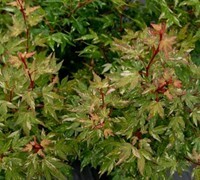 The foliage is the deepest color of any Loropetalum we've seen. 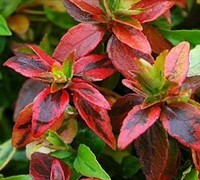 Ever Red Sunset Loropetalum grows to about 6 feet tall with an equal spread making it an excellent selection for foundation plantings, in shrub borders, in small or large groupings in landscape beds, on slopes or embankments, as a small specimen tree, or as a natural or formal hedge. 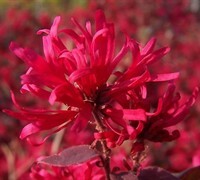 Emerald Red Sunset Loropetalum is easy to grow and low maintance. 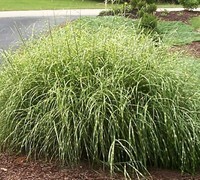 Plant it in locations that provide well-drained soils and full sun to part shade. 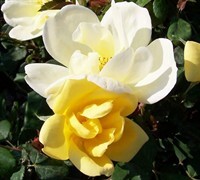 Though not picky about soil type, well drained and acidic soil is essential for this plant. 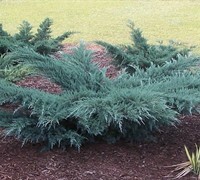 Pruning is minimal unless you want to shear it into a more formal shape. 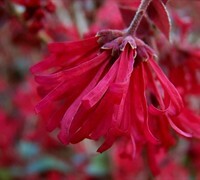 Loropetalum arrived yesterday afternoon. Im very pleased with the plant and the packing! It is now in the ground at its new home. Thanks!